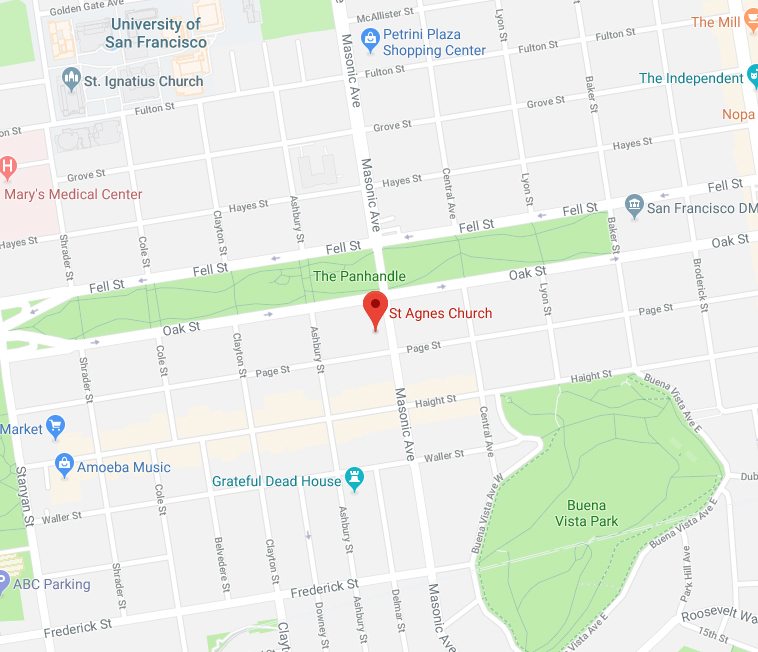 Mass at St. Agnes Parish, 1025 Masonic Avenue, 10:30 am. Block Party at Page Street between Masonic and Ashbury, Noon-3:00 pm. Volunteers who stay until 3 pm get priority parking in the Urban School Garage.